The movie was released in Korea on 9th August and has already surpassed 4 million admissions after its 2nd weekend! MIDNIGHT RUNNERS is opening in cinemas island wide on 7th September in Singapore. 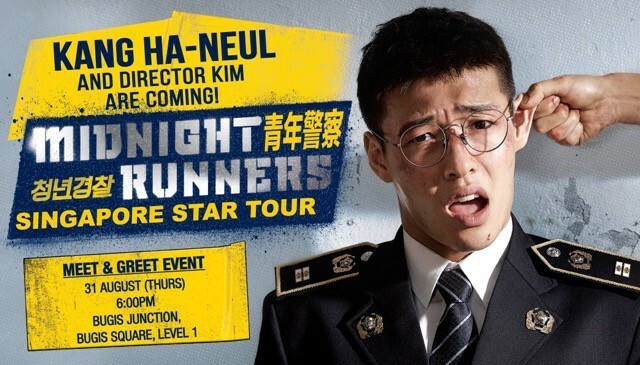 During the whirlwind promotional tour in Singapore presented by tvN Movies, World’s First & Only Korean Blockbuster movie channel, besides meeting members of the press at MIDNIGHT RUNNERS Singapore Press Conference, Kang Ha-neul and Director Kim will be appearing at MIDNIGHT RUNNERS Meet-&-Greet Event at Bugis Junction – Bugis Square Level 1! This is the one and only public event where fans are able to catch them up-close and personal! They will finish their Singapore tour withMIDNIGHT RUNNERS Singapore Gala Premiere, held at Golden Village Suntec City. MIDNIGHT RUNNERS stars up-and-coming Korean actors namely Kang Ha-neul姜河那 and Park Seo-joon 朴叙俊. The movie tells the story of two apathetic police academy recruits-turned-best-friends who witnessed a kidnapping incident by chance during their leave. After making a police report, the investigation went stagnant as there were lacked of evidences. The duo then decided to take matters into their own hands where they ran into unexpected twists and turns! MIDNIGHT RUNNERS is proudly presented by tvN Movies; with support from official digital media – Viu – a leading pan-regional video OTT service focusing on Asian Entertainment. 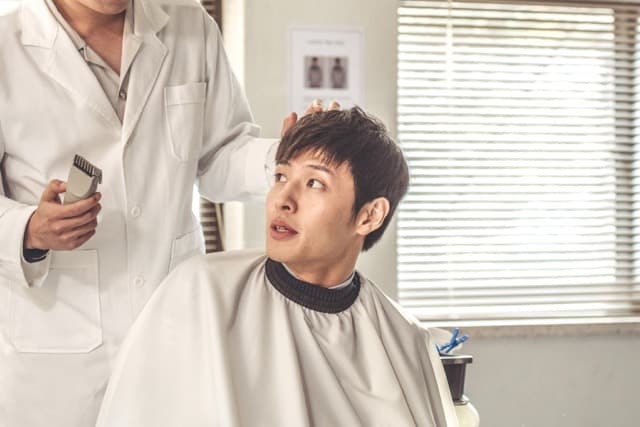 The movie is co-distributed by Purple Plan and Golden Village Pictures in Singapore.